The holiday season can be a magical time. 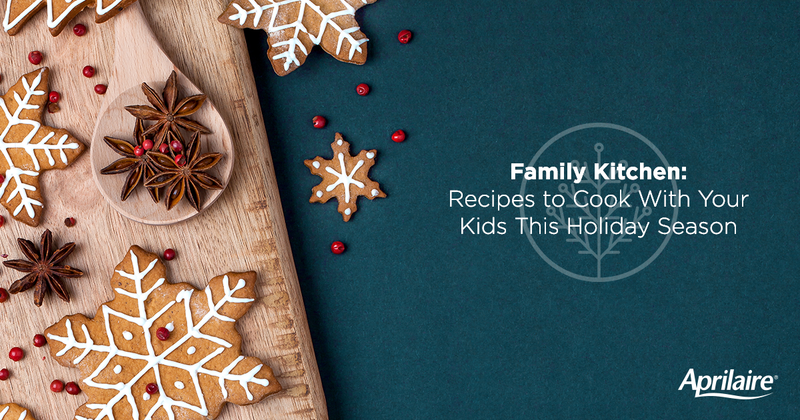 Fill these days with family, friends, and traditions, and you can make memories with these fun and simple holiday recipes. Chances are, you’ll be able to make a lot of memories in the kitchen. Set realistic expectations of your kiddos so that the process can be as enjoyable as possible for everyone. Plan ahead- the more organized you can be, the less chaos will ensue. Set up as much as you can before any helpers join you. Keep it simple and age appropriate. The younger your children, the simpler your recipes should be so that the child can really take ownership of what they’ve made. The sense of pride they’ll feel is priceless. Allow plenty of time. Anything your kids help with will inevitably take longer, so consider working in stages/steps depending on the recipe so you’re not rushed. Equip your kids with appropriate tools. Setting up a rimmed baking tray for each kid is a great way to keep the mess contained, allow each child to do their part, and keep fighting to a minimum. Make it memorable! Remember to make your kids feel welcomed and included in the kitchen regardless of their ability to really “help” or not. It’s a special time to be treasured. Take pictures, tell jokes, have fun! When it’s time to whip something up, consider these healthy snack and cookie ideas to make with your kids, nieces, nephews, and whoever else wants to join in! Snowman Popcorn Cups– Perfect for a toddler because they can do each step by themselves. Christmas Tree Snack– Once you prep the ingredients for this snack, a toddler can use their imagination and creativity to make it their own. Coconut Banana Cookie– Smashing things is a thrill for toddlers; let them smash the bananas and add in pre-measured dry ingredients. Popcorn Trail Mix– This is a healthy, festive snack that kids can make completely independently! Healthy Sugar Cookies– Kids love decorating cookies, think of how excited they’ll be to help make the cookies too. Grinch Kabobs– This would be a fun holiday recipe to do with kids before or after watching the classic Christmas movie. Gingerbread Pumpkin Snowballs– Make sure to supervise so no snowball fights start in the kitchen. Spinach Artichoke Frittata Trees– Pouring into the tree molds will probably be their favorite part. Christmas Cookies– Consider letting your older kids choose a recipe themselves from this great list of healthy cookies.